GAINESVILLE — Jim McElwain and his family didn't have to accept the offer that became a punchline. At first, they didn't. They rejected a bid well below the $1.8 million they paid for their Gainesville home in 2015, when McElwain was entering his first season as the Gators' coach instead of exiting his final one. The house they no longer needed wasn't even officially on the market. So here's why the McElwains ultimately agreed to the $400,000 hit — the one that led to digs about taking another loss after a 22-12 run at Florida. Because the family who made the offer has two disabled kids. Because the home's ramps, lift and wide hallways were perfect for a wheelchair. Because the converted garage would make a great first apartment for a 20-year-old with limited mobility. "Because the McElwains have a good heart," said their real estate agent, Daurine Wehbe. "No one knows that. No one appreciates that." The Staabs first noticed something was wrong when Tyler was 7, and his right elbow started flaring out on his jump shot. When his dad tried to hold the elbow in, Tyler's arm shook. Tyler taught himself to write left-handed, but the problems spread to his other arm. After a battery of tests and trips to specialists, Tyler was diagnosed with dystonia — a neurological disorder that causes involuntary muscle contractions. Around the time his younger sister, Samantha, turned 7, she began to show symptoms of dystonia, too. Her body twisted. Even sitting in a wheelchair became painful. "We feel like they're trapped in a cage…" said their father, Rick. "They both were, for lack of a better term, living a normal life with all their capabilities before the symptoms showed up." The symptoms haven't disappeared. Tyler, now 20, needs a wheelchair and can't use the left side of his body. Samantha, 17, has occasional trouble walking. But they're better, thanks to surgeries, medicine and other treatments. Samantha plays libero on her volleyball team at Oak Hall School. Tyler drives. Rick and his wife, Michelle, were thinking about Tyler's changes in early November, after he started his second year at Santa Fe Community College. They wanted to give him more independence — maybe an apartment of his own. Their two-story house wasn't really working anymore, either. Then Rick remembered a place he visited months earlier, for a dinner he bought at a charity auction. The home was gorgeous, with stone walls, marble columns, a bronze fountain out front and citrus trees out back. More importantly, the 5,600-square-foot main home was subtly designed for a wheelchair thanks to a previous owner: Open rooms. Wide doorways. Multiple shower heads and rails. Ramps to the pool lanai. The eight-car-garage-turned-guest-wing that McElwain used to house a visiting coaching staff would make a great starter apartment for Tyler. He could have the freedom he deserved but still be a few yards away, if he ever needed anything. There was even a wheelchair lift to raise him to the main home. The same features that made it suited for a head football coach would work for the Staabs' foundation, Tyler's Hope for a Dystonia Cure. Donors at fundraisers could enjoy the bocce ball court and outdoor kitchen that formerly entertained players or boosters. "This solves everything," Rick said. Rick had only spoken to McElwain a few times since that charity dinner, and he hadn't heard from him since he sent a keep-your-head-up email the morning after the Georgia loss, just a few hours before McElwain lost his job. But Rick figured the coach wanted to move on quickly. He didn't know what the home was worth, or if he could afford it. The McElwains hadn't even officially listed it. He called their real estate agent, anyway. "I said, 'Listen, I don't know what it's worth or whatever,'" said Rick, the CEO of a medical equipment company. "'But this is what I can do.'" The McElwains said no — until they learned who made the offer. The Staabs heard back from McElwain's wife, Karen. Let's see what we can work out. It's been two and a half months since the Staabs closed on the $1.4 million sale, and they're not quite settled in. They're shopping for a round kitchen table to put in the breakfast nook. They're still figuring out all the switches, like which ones light up trees in blue or orange. They want to turn some of their 14 acres into a lacrosse field. 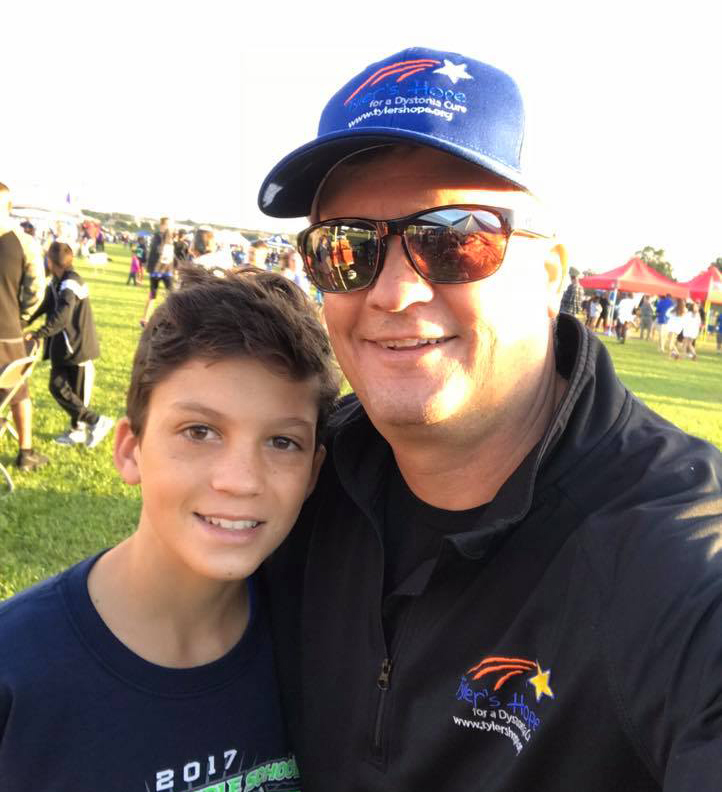 Their youngest child, 13-year-old Luke (who shows no signs of dystonia) loves the sport, and it could be a permanent site for the fundraising tournament for Tyler's Hope, which has contributed millions to dystonia research since 2006. The adjustment would have been even tougher without more help from the McElwains. When they toured the place before the deal was finalized, Tyler and Samantha mentioned a few things they liked. Some were practical, like pool furniture. Some weren't. The pool and poker tables in Tyler's apartment. The UF buggy in the garage. The toilet paper dispenser shaped like a gator. The McElwains left them all behind for the Staabs to enjoy. Jim — now the receivers coach at Michigan — and Karen politely declined to talk for this story, so Rick can only guess why they helped his family so much. "I can't get in their heads, but I can think of a million reasons why to do it," Rick said. "And all positive." That's why the jokes about the McElwains' $400,000 loss bothered Rick so much. McElwain took a six-figure financial hit, then kept giving to Rick's two disabled kids — and was ridiculed for it. Critiquing a coach's on-field performance is one thing. Rick armchair quarterbacks the way you'd expect from someone with a dog named Tebow and a walk-in closet full of orange and blue. "It frustrates me when I go and the offense isn't performing, or we run the same play (repeatedly)…" Rick said. "I just don't think we should judge people based on coaching." Because sometimes the losses they take aren't really losses after all. After Tyler Staab was diagnosed with dystonia in 2006, his family started a foundation to raise awareness of the movement disorder. Since then, the charity has given millions of dollars to researchers looking for a cure.